Last night I stood in the kitchen at my house and smiled. Four boys were in front of me, grabbing for boxes of pizza, lamenting that they were "starving." I looked at them, two were my sons, two were friends of theirs. Two are currently in my reading class, two were three years ago. All four are completely different personality wise. I reflected on that, you hear the phrase "boys will be boys" bantered about all the time, but what does that mean? Often I think it is lobbed as an excuse for poor behavior and that just irritates me. Looking at these beautiful kids in front of me, I asked if I could take a photo with them. None of them groaned, they are all used to this. 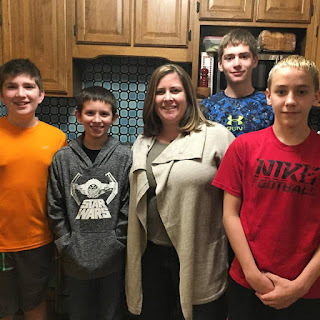 We turned to my husband as he took the photo and I began to think of all of the boys I have taught. I love teaching boys. I have frequently told principals I'd take an entire class of them. It isn't that it's easy. And it isn't that I think girls are hard. I have had amazing girl students too. I love them too and think they tend to get a bad rap as well. As a current student's parent was quick to point out last night, girls get accused of being mean and being filled with drama. That can be true for some girls, just as it can for some boys. No, the reason I have long loved teaching boys is that way back when I began in education, I heard so many teachers complain about them. They moved too much, talked too much, didn't pay attention, had crude humor, you name it. And while there was absolute truth underlying what these teachers were saying, all I could see was these kids being expected to act like mini adults and wondered how they felt about school. I wondered what they thought their teachers felt about them. I wondered how that impacted them. It was then that I began to push myself to meet my boys - and girls - where they were and go from there. I'm halfway through my twentieth year of teaching - two years in a kindergarten in the Chicago suburbs, two in a town even smaller than I live in now, and 16 in my hometown. Each year teaches me something new, but each year I become more and more an advocate for boys. I've learned what works - short lessons, allowing for movement, allowing for choice, not freaking out when they want to write about something violent, celebrating graphic novels, and laughing - lots of laughing. What I could never have guessed all of those years ago is the capacity these boys have to love their teachers. I have held more boys as they have cried, talked to more far after the years I have taught them. There is a connection that comes when any kid - boy or girl - knows that beyond a shadow of a doubt that you are there for them. I try hard to establish that those first weeks of school. Those weeks where some kids are already dreading coming back because they know they will be labeled "the bad kid" again. Those kids I want to get to know as fast as I can, to let them know that I'm thrilled they are in my class. The other night I sat with my family at our high school boys' basketball game right behind the players. Luke, who is 13 and knows more than I do, informed me I was cheering too loud. I looked at him and grinned. I do feel it is my duty to embarrass him at every turn. I replied, "Too bad, bud. I taught these kids. I love them and I want to make sure they know I'm proud." One of the boys overheard me and turned around, grinned, and nodded. Luke looked at him, at me, and then smiled. Teaching is such an amazing job. We get to be with these people for an entire year, but they will likely remember us far after we are gone. Will they remember my lessons? 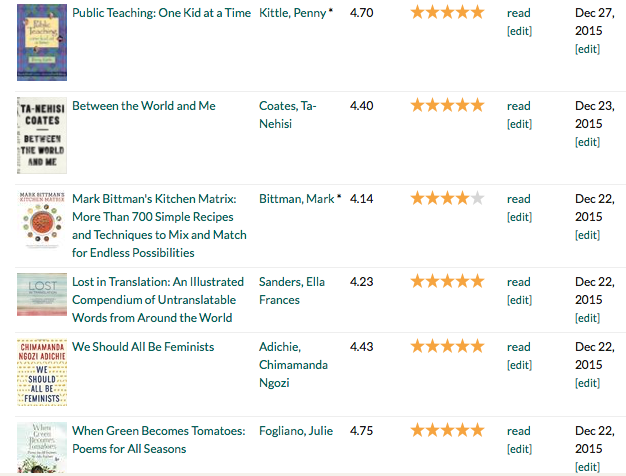 The books I recommended? The stories we wrote? Maybe, but I have a feeling they will remember how I made them feel. Whether they thought I was happy or frustrated to see them each day. All kids are important - boys and girls. School is often set up for success for our girls, but what about the boys? Let's make a goal this new year to see all of our kids for who they are and make sure each and every one of them knows we are glad to see them in the morning. If you'd like to read an older post I wrote about teaching boys - with a fabulous, fabulous class - click HERE. I think teaching has well served me as a parent. Because of teaching I know things I might not have if I wasn't. 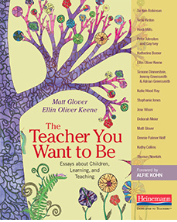 For example, I know the importance of explicit teaching, of the need to teach everything. We know this, intuitively, when we are parents of young children. We teach them how to speak, how to wash their hands, how to brush their teeth - and how long. We know this as teachers of young kids. We teach them how to walk in the line, sit on the carpet, go to lunch, and learn to share. But I think, as they age, we leave a lot up to them that maybe we shouldn't, especially regarding our kids socially. We assume that once they are old enough to be independent of us, they will figure the social stuff out on their own. The blessing of teaching ten and eleven year old kids is that I know how untrue this is. I've been teaching my students - and my sons - about life as long as I have been in the classroom. Kids tend to be a bit clueless, and very focused on themselves. I've found that I have to walk them through a scenario, explain why I think they should do "x". Maybe, just maybe, it will sink in. Often, it will require repeated teachings. Much like explaining to my boys how to open gifts when they were small, what they needed to say, we need to do this for social situations for our older kids as well. I've taught my "kids" (this will be a loose term I will use for my own children and my current and former students to protect some anonymity here) how to be friends. How to make up after an argument. How to figure out if a friend is upset with you. How to talk to a girl or boy you like. How to say "hi" when you see friends out and you weren't invited. How to talk to your teacher if you weren't happy about a grade. How to apologize when you screwed up. How to comfort someone when they are hurting. I don't think there are right ways and wrong ways to teach this stuff to our kids, I simply think we need to. When we see our children - in the classroom or at home - are struggling with a friend, we need to give them guidance. Sometimes it isn't wanted, and we have to back off, but sometimes I quietly pull up a chair and say, "Man, I struggled with friends in school too. You know what often works, but is pretty tough? Asking what's going on. They might tell you - and maybe you screwed up and will need to apologize. Or they might ignore you. At least you tried." Kids will nod, not look at me, but nod. Then they come back later with a whispered, "Thanks." I don't think kids just become great students, great friends, or great boyfriends/ girlfriends, by accident. I think it is by quiet guidance, great role models, and letting them figure some of it out on their own. Just as a read aloud shouldn't end because the kids know how to read, I don't think our lessons should end just because they are no longer small enough to fit on our laps. Too many kids are coming to me woefully unprepared on how to be kind, how to think of others, how to navigate the waters of fifth grade and beyond. We must still be a life preserver for them, providing the support they need when the waves are too rough and the water is too deep. 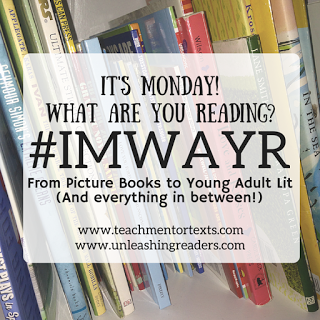 Each break - Summer, Christmas, and Spring Break - I join Donalyn Miller and the #bookaday group. Half of the time I don't remember to tweet what I'm reading with the hashtag, but I always keep in mind the goal of reading a book a day. That sounds crazy when you think of break being fifteen days long and fifteen books, but when you consider everything counts, including picture books, you realize this is completely doable. In fact, it is necessary. I have far too many books in my house that I haven't read, but would like to get read. So I consider this critical. There are some amazing books in this bunch. I can't possibly review them all here, but suffice to say, it's been a great reading week. Up next: Big Magic and Jan Karon's newest books. Both books are for me, not for the classroom. After that, a few reads for my students and a lot of PD reading I need to get done. Hope you all have a fabulous week! I'm not entirely sure when I learned how to read, but I know I could in first grade. I know that I memorize words, but figuring out new ones is tricky. I know that I read extremely fast. I know that the beginning of a book is torture for me, I struggle to fall into the world. Once I do, I can't put the book down until I'm done. I know that I often peek at the end of the book. I know that I will go through times where I read a ton, and times where I don't read much at all. I know I read more when I plan ahead. I know with 100% certainty that I am a better person, a more empathetic person, because I am a reader. Here's the thing, you might notice some crazy large stacks in those photos. Some had less. My own child had two books because, as he said, there was no need to check out a lot of books from the classroom when our house was "full to bursting" with books. Some kids also held up fingers to indicate books they had at home or had asked for as Christmas gifts - those they weren't checking out, but wanted counted. Those crazy large stacks, though? A friend and colleague asked if I was going to really let them check them all out, were they really going to read them? I confided a secret...I don't care. See, when making these stacks, these kids were pumped, so excited to take a photo with BOOKS. A crazy thing happened in each of my three classes on Thursday when we made our plans, my room was humming with energy. Kids were grabbing books off shelves. It was so far from quiet, there were shouts across the room, "Yes, take the whole series of Lunch Lady. If you don't, you'll wish you did a few days into break." Or..."What? You haven't read The Night Gardener or Peter Nimble? You must take those." Kids were book talking, pushing books on friends, grabbing some for others, plopping on the floor to read a few picture books before they even began. It was crazy. And wonderful. And I might have just cried a little bit as I sat and watched. Does this concern me? Not a bit. I know myself as a reader. Books will always be part of who I am. My reading might ebb and flow, but it is ever present, always in the background waiting to come through. The real gift? Watching my students figure out who they are as readers. Amazing. I can't wait to see what they read and learn over break. 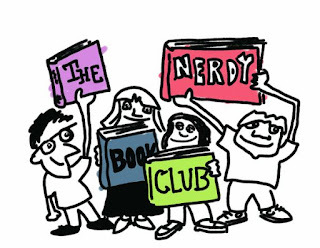 Nerdy Book Club Awards Close at Midnight! 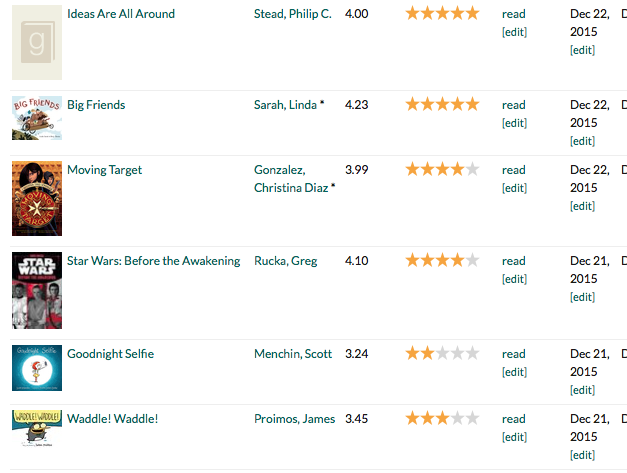 I've read so many great books over 2015, I have struggled to complete my Nerdy Award list. 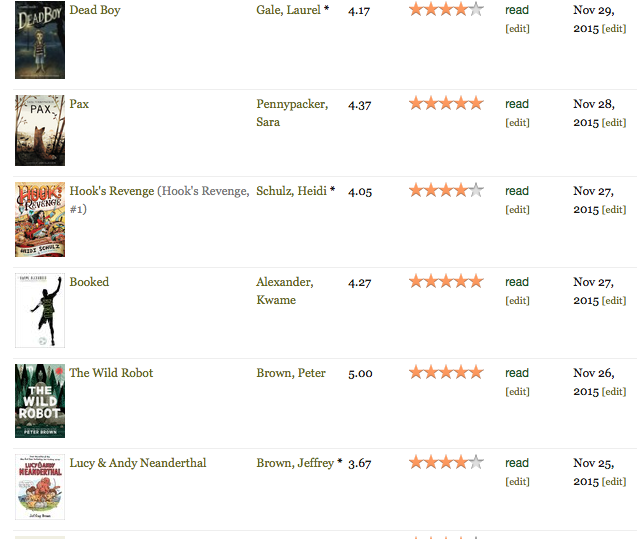 Which books to select? Which to leave out? What's a reader to do? And yet, tonight is the night. I have to make my decisions. Torture, I tell you, torture. Have you filled out your ballot yet? 2015 books only, don't forget. If you haven't, grab a beverage and join me this evening. We can get this done together. Nerdy Book Club members, unite! Click HERE to head over and fill out your Nerdy Award Nominees. Last week was not a huge reading week, and I doubt this one will be either. Between the end of the quarter grading, jumping through hoops to enroll in some college classes for the Spring Semester, and the just before Christmas mayhem, my reading life has taken a back seat. I also have been writing a lot, which is great. Being a reader all my life means that I know my reading life will ebb and flow. I'm looking forward to two weeks off to really dive into some amazing books. My reading for the week coming up is a lot of professional books. To begin with, I am finishing Tom Newkirk's Minds Made For Stories. Finally, congrats to Erin V. for winning the giveaway for Homer last week. I'm a big believer in the notion that our attitude is a choice. I choose to have good days, even when they aren't. I choose to look for the positive, even when the negative is ever present. Sometimes it's hard. Sometimes the wrong side wins out, but overall, I think I'm a happier person for this mindset. It isn't that my teaching day is full of unicorns and rainbows. I have the same highs and lows as anyone else. Yesterday was full of them. Completely oblivious to their impact on others. Wonder how he would ever escape the Underworld. Just as quickly, my load lightened. The cheer of the crowd. And with that, I'm off to school. We will share our final drafts of our NaNoWriMo stories. I'll share a picture book. I have lunch with my son, a new rug, and a former student spending the night with Luke. It's going to be a great day. Fifth graders have big hearts. When I told them today about my friend Margie losing her beloved dog, Xena, they immediately connected. Fifth graders also love to tell stories. We talked in each class about the pets they've had, the books they've connected to with amazing animals in them (Hachiko Waits was a favorite), and the way that pets can make you feel. 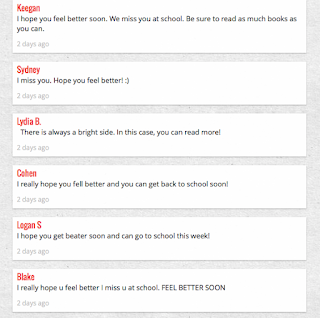 After the first class wanted to continue to talk more than we had time to share, I created a Padlet for them. Below you can see what my sweet students had to say about the animals that have been part of their lives - through pets or through books. 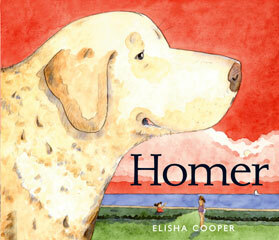 To celebrate Margie and Xena's amazing relationship, I'm going to give away a copy of the picture book Homer. Margie was the one to introduce this to me when my own dog, Bally, was in her later year. This book truly celebrates the older dogs in our lives. Enter below. 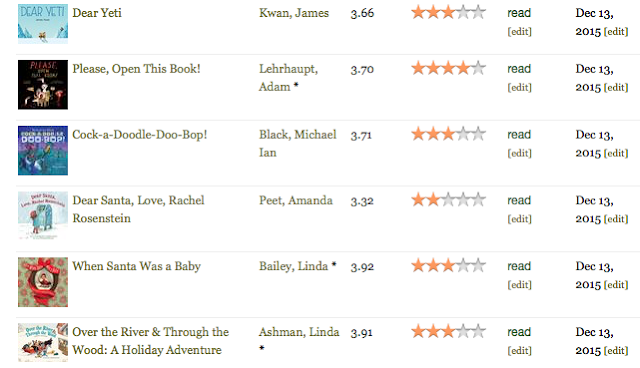 The stomach flu and a typical December schedule conspired to ensure I didn't get a ton read last week. However, everything I did read, I loved. The Only Child is breathtakingly beautiful. If the author/ illustrator lived in America, I'd have to run back to my Mock Caldecott group and tell them we have a new front runner. The way I described the format of this book to my students was that it was like a picture book and a graphic novel had a baby, this is it. Gorgeous. The Book of Joe is not a book for my students, but my book club's selection for this month. Typically we read YA, but after one of the members described this book last month, we all wanted to read it. I was fascinated by the fact that my friend was nervous for us to read it, didn't want us to read it in fact. She loves this book so much, she is almost protective over it and wonders if she would think differently about us if we didn't feel the same. (Fortunately, I loved it. Phew!) How I wish all of my students could have that type of connection with a book. Finally, The Last Kids on Earth is a book that after reading, I realized I should have bought more copies. Jack is a thirteen year old kid living in his treehouse. He lived with his foster parents before, now he is just trying to survive. A monster/zombie apocalypse has hit their town. At first, he is fighting off the creatures alone. Eventually he forms a group to fight with. Jack's voice is sarcastic and relatable. Kids will love this novel, with illustrations thrown in throughout. This is the first in, what I am assuming, is a series. It will be huge in my classroom. 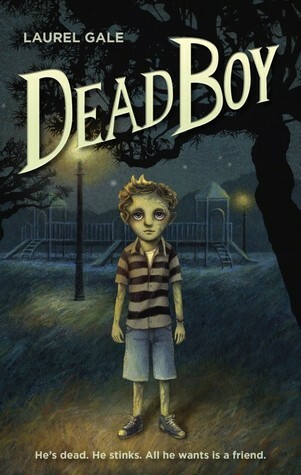 Also a great book for your classroom - The Dead Boy. I included it in my "It's Monday" post last week, but I now have the review up. You can check it out HERE. I am ready to celebrate with the community over at Ruth Ayres blog. After two days down with the stomach flu, I feel like a new person. Today, more than ever, it is time to rock out the celebration. Seriously, how can one person have this voice? It's a good thing you can "wear out" the album in iTunes, because I listed to Hello on repeat on the way to NCTE when the flight was soooo bumpy I thought I was going to have a full blown panic attack. Thanks, Adele, for helping me to avoid that. 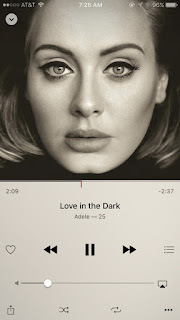 Now, I just listen and smile. Amazing. I moan and groan on a regular basis the fact that I cannot sleep in anymore because this little pup wants to walk. However, after two days of not being able to go on said walks, I was grateful to head out this morning with her, in the fog, and listen to Adele as we walked. Peace descended. I know how lucky I am on regular basis to work with these kids, but when you're sick? They are beyond cool. 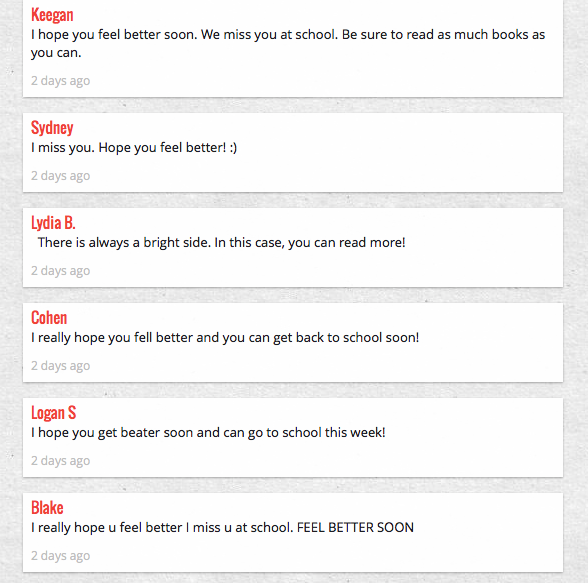 One of the teachers on my team set up a Padlet and let them leave notes for me. When your stomach is waging a war with your body, not a lot makes you feel better, but that did. I'm beyond grateful to them all. This was a tough week for a variety of reasons, but I'm beyond grateful for a family that is amazing and friends that will reach out and connect when they know you need it. I cannot celebrate them enough. And with that, I'm getting ready to head to a 7th grade basketball game for the day. Hoping you have a fabulous weekend full of family, friends, reading, writing, and no stomach flu! 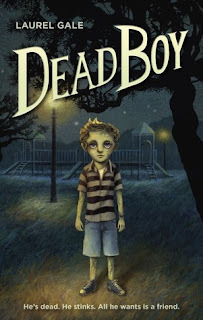 When I was asked to participate in the Dead Boy blog tour, I immediately wanted to say, “You’ve got the wrong person!” I don’t like scary books. I don’t like scary movies. I still clearly remember reading Stephen King’s Night Shift when I was in high school. A friend had pleaded with me to read it, the writing was amazing, he claimed. I got up early for a morning shift at the diner I worked at on the weekends and read it before I had to go in. Walking out to my car before dawn, I jumped at every noise. I cried as I drove to work, sure I was going to be attacked. Scary stories weren’t my thing. So it was with apprehension that I opened the cover of Dead Boy. Imagine my surprise to find myself immediately drawn in. Here we have the character of Crow. A boy who died in fourth grade, but has somehow continued to “exist” for the last two years. His mother is, naturally, rather protective over Crow. His body has been decomposing over these past two years. He has an aroma about him, is a bit overtaken by maggots, and body parts can fall off. But, he’s still here, and he is lonely. Enter his new neighbor, Melody. She’s Crow’s age and his first friend in years. Even when she discovers the truth about Crow, she isn’t deterred. Crow and Melody go on a journey to discover what happened to him, what happened to Melody’s mom, and face a monster or two on their journey together. While creepy at times, this really is a story about friendship, bravery, and becoming the person you were meant to be. I loved the lessons woven in about how life isn’t always fair, but that doesn’t give you the right to be mean to others. I think my students would gain a lot from Crow and Melody’s story. I cannot wait to share it with them this week. Bio for author Laurel Gale: Like Crow, Gale resides in the Nevada desert. She lives with her husband and a band of furry monsters that might actually be ferrets, her favorite animal (even though they don't make an appearance in this story). Recently a student came up to me for a book suggestion. We shopped our shelves as I tried to figure out what kind of book he was in the mood for. Every question I asked was met with a shrug. 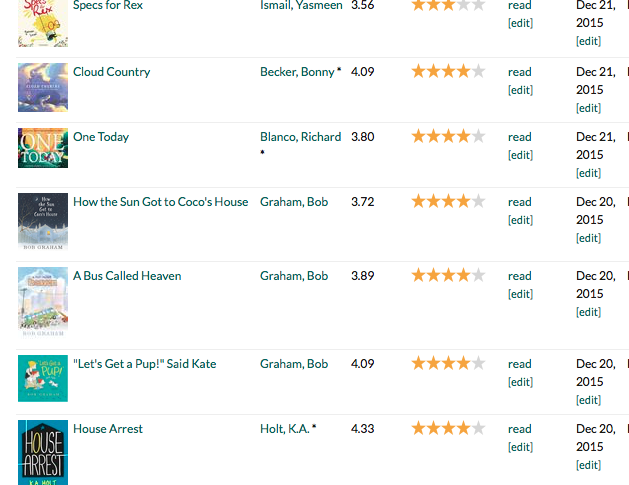 I scanned the shelves, describing some of my favorite books to him. At one point he turned, looking me in the eye, and said, "Mrs. S, I just need to laugh." Pow. Right in the heart. This year I have more students than ever that need to laugh. I have more students than ever that come to me with hard stories, hard lives. My heart seems to break a bit each day, but then it grows stronger with them. He needs to laugh. Yep, I get it. That day was also the day I realized that many of the books I am drawn to as a reader are not necessarily the ones that make kids laugh. They make you think. They move through some tough life lessons. But silly, crazy, funny books like he was looking for? Not always the first ones I read. I sent him off with a stack that included Knuckleheads, the first in the Captain Underpants series, How to Outrun a Crocodile When Your Shoes are Untied, and a few others. However, I'd love to curate a list to have on hand. Do you have any favorite books that make you laugh? If so, please share in the comments. This year I think I will need more of these titles than ever before. Thanks!